And time for a party – a very merry un-birthday party, a closing night party, an opening night party, an Irish wake, dance-til-you drop bacchanal – to give the Foundry Theatre a kiss goodbye. 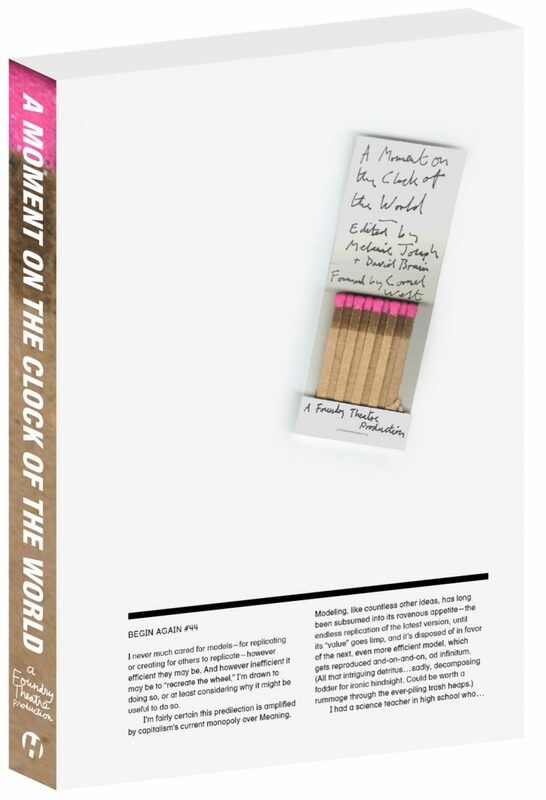 This will be the last gathering: a celebration of The Foundry’s life and ours, and the launch of the final Foundry “production”, a book we made to mark this occasion called A MOMENT ON THE CLOCK OF THE WORLD. We made Something that lived fully and remarkably for 25 years. Where: Ukrainian National Hall @ 140-142 2nd Ave.
is an invitation to consider what it means to make the world, together. 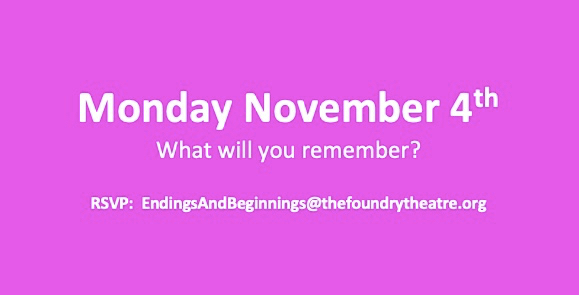 A mixtape of inquiry from some of the remarkable artists, activists and public thinkers who variously shared this eternal consideration with The Foundry Theatre, throughout its 25 years at the intersection of art and world making.